DHS says most of the money was never intended to go to disaster relief. Sen. Jeff Merkley, an Oregon Democrat, is feuding with the Trump administration over what he says was its inappropriate shift of $10 million from FEMA to immigration enforcement -- funds he said should be used for disaster relief. “This is a scandal. At the start of hurricane season—when American citizens in Puerto Rico and the U.S. Virgin Islands are still suffering from FEMA’s inadequate recovery efforts—the administration transferred millions of dollars away from FEMA,” Merkley said in a paper statement released Tuesday night – points he reiterated in an interview Wednesday morning. (Carlos Giusti/AP, FILE) Department of Homeland Security personnel deliver supplies to Santa Ana community residents in the aftermath of Hurricane Maria in Guayama, Puerto Rico, Oct. 5, 2017. But FEMA says the $10 million was not intended to go to disaster relief and represents an extremely small percentage of what is actually being spent on hurricane recovery. Merkley points to a document he obtained from The Department of Homeland Security during a June visit to the border which shows the agency reallocating $10 million from FEMA to U.S. Immigration and Customs Enforcement (ICE) and, to a lesser extent, the U.S. Secret Service. 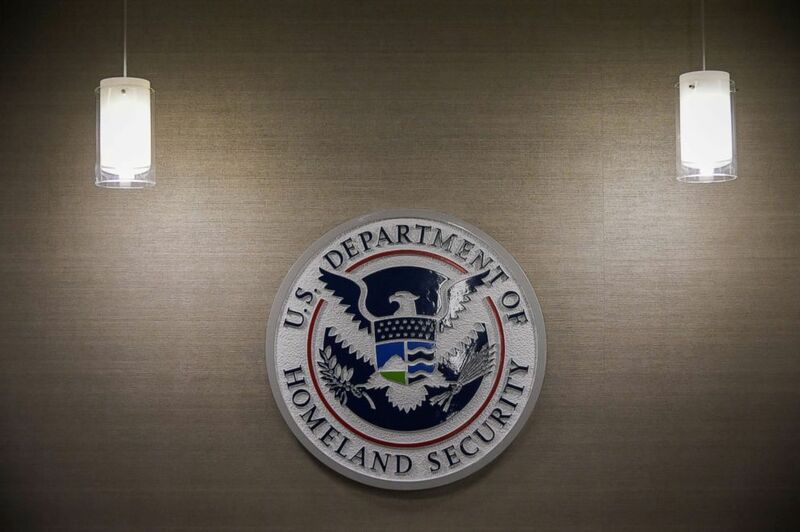 (Salwan Georges/The Washington Post via Getty Images, FILE) U.S. Department of Homeland Security logo is seen inside press conference room, May 11, 2017, at the U.S. Immigration and Customs Enforcement headquarters in Washington, D.C. This money, the document shows, was going to help pay for “detention beds” and the “transportation and removal program.” A separate portion was allocated to the Secret Service for security near the White House. Some of the $10 million was coming from FEMA categories including “Response and Recovery,” “Mitigation” and “Preparedness and Protection” – categories that do involve some disaster response work but also cover the administrative costs that go into such work. The DHS document is undated but Merkley’s staff says it was submitted in June 2018, a month after Attorney General Jeff Sessions announced the administration’s new “zero tolerance” policy that led to family separations. Merkley says this money was redirected to help support the family separation policy. “It wasn’t enough to rip thousands of children out of the arms of their parents—the administration chose to partly pay for this horrific program by taking away from the ability to respond to damage from this year’s upcoming and potentially devastating hurricane season,” he said. DHS is required to notify House and Senate subcommittees dealing with homeland security for reprogramming of funds in excess of $5 million, which is why this “reprogramming notification” was sent to those committees. So is this as big a scandal as Merkley seems to suggest? They are making a few points. Number one, this money does not come from FEMA’s $25 billion disaster relief fund. That is a separate account. “It does not come out of the disaster relief fund that funds everything behind me and in the field so it's a non-issue for us at this moment,” administrator Brock Long said this morning on ABC's "Good Morning America," gesturing to workers at computers at FEMA headquarters in Washington. 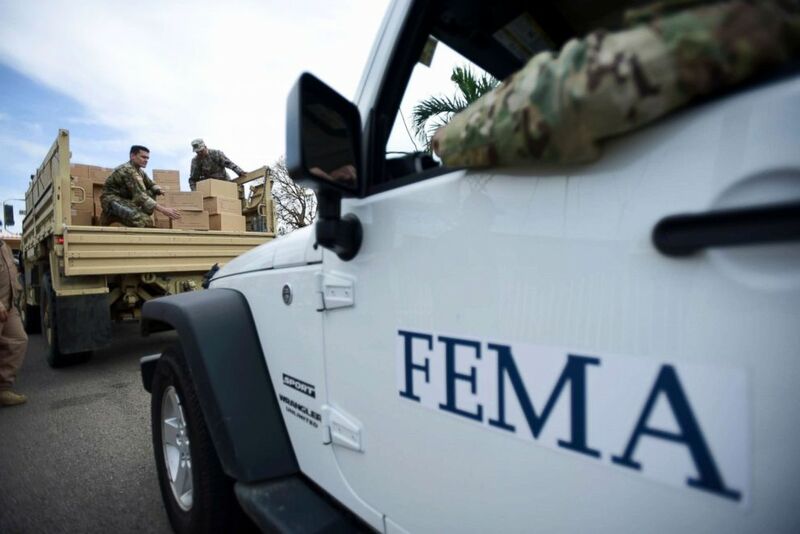 The money did come from FEMA’s billion-dollar operational account, which covers the agency's administrative costs-- some of which are related to disaster relief. According to a FY2019 breakdown of FEMA spending, about 46 percent of the agency’s billion-dollar operations budget supports FEMA headquarters activity like policy development, strategic planning and more administrative functions including IT, security and records management. DHS says that since the money had not been spent, authorization to do so was going to expire at the end of the fiscal year on September 30. A spokeswoman for the House Appropriations subcommittee that oversees DHS also notes that these reprogramming notification funds are routine and that they get dozens, if not hundreds, each month. The feud between Merkley and FEMA and DHS has only escalated since he appeared on MSNBC'S "The Rachel Maddow Show" Tuesday night and CNN Wednesday morning. Merkley said on CNN that it was “just a lot of bunk” that the $10 million could not have been used for disaster relief. “When you have preparedness lines and lines dedicated to response, that's exactly the sort of funds that help you prepare and address the damage that comes from these storms,” he said. Merkley’s staff has also noted that $10 million could make a big difference to people coping with hurricanes and disasters. “Try to go to Puerto Rico right now and tell them right now that ten million dollars is a drop in the bucket,” a Merkley aide said. After calling @SenJeffMerkley staff to inform them of the facts surrounding @FEMA budget we were told “It’s a TV hit, you take it where you can” - regardless of the facts? ABC News' Kelsey Walsh contributed to this report.